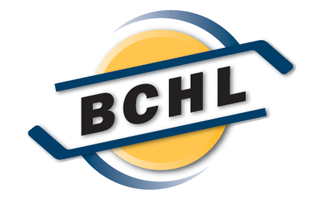 Chilliwack, BC: The Penticton Vees (33-14-1-2) cut in the Chilliwack Chiefs (37-12-1-0) lead in the third period, but couldn’t find the equalizer with the net empty, dropping a 3-2 game at Prospera Centre. The game started off with a frantic pace as there were only one whistle until the first goal of the game was scored, 8:05 into the period. Luke Loheit took a pass from Peter Muzyka and streaked down the left wing into the Chiefs zone. After stepping around the defenceman, Loheit drove to the net and slid the puck through the five hole of Daniel Chenard for his eighth of the season. The Vees went to the power play shortly after the goal, but it was short lived as Evan McIntyre took a slashing penalty just 16 seconds into the man advantage, putting the game 4-on-4 for 1:44. Five seconds after 4-on-4 expired the Chiefs tied the game. Skylar Brind’a’mour forced a turnover in the neutral zone, stealing the puck away from Massimo Rizzo and turning around for a 2-on-1 rush. Brind’a’mour slid the puck into the slot for Cole Donhauser who beat Jack LaFontaine through the five hole to tie the game. James Miller was robbed by the paddle of Chenard not long after stepping back into the ice after a penalty. Miller found a loose puck in front, cutting to the blocker side of Chenard, but the Chiefs goaltender reached back with the stick and took it away from Miller. First-period power plays weren’t kind to the Vees Saturday night. On their second one, Loheit lost the puck as he entered the Chilliwack zone and Kevin Wall was off to the races. The Chiefs forward got a clear-cut breakaway and beat LaFontaine through the five hole with 50 seconds left in the period to give the Chiefs a 2-1 lead through 20 minutes. Trailing 3-1 after two the Vees started to mount some pressure in the Chiefs zone, eventually cutting into their lead. After Rizzo saucered a puck down the slot, Jonathan Smart just missed converting on a backhand attempt. Smart chased after the puck behind the net and slid it in front for Rizzo who was able to jam is past Chenard to cut the deficit to one. Penticton continued to press, including Miller once again being robbed by Chenard as the late man coming down the slot, but even with LaFontaine out for the extra attacker the Vees couldn’t tie the game, falling 3-2. 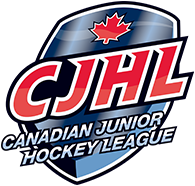 With the loss the Vees fall six points back of Chilliwack for first overall in the BCHL, but still hold a six point lead over the Merritt Centennials for first in the Interior Division following their shootout loss in Trail.